Jorge’s Diamonds #1 from Dutch Passion are feminised cannabis seeds which genetic composition is a mystery. We know these cannabis plants contain mainly Indica genetics and are improved with Sativa features. 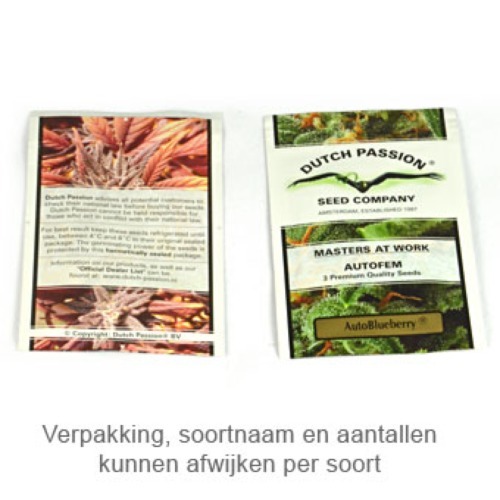 Dutch Passion Jorge’s Diamonds #1 cannabis seeds are suitable for an indoor and outdoor grow. These cannabis plants are reasonably maintenance free because of a good resistance against mold and other diseases. Starting growers could also use these cannabis seeds. This weed has an extraordinary, sweet, wild honey and raspberry taste. The effect of smoking this weed is a very strong and prolonged high. Growing weed with these feminised cannabis seeds generate a great harvest. Tell us and our customers what you think of the Jorge's Diamonds #1 from Dutch Passion.